I recommend this hike to anyone either staying near the park or passing through on FM 170. 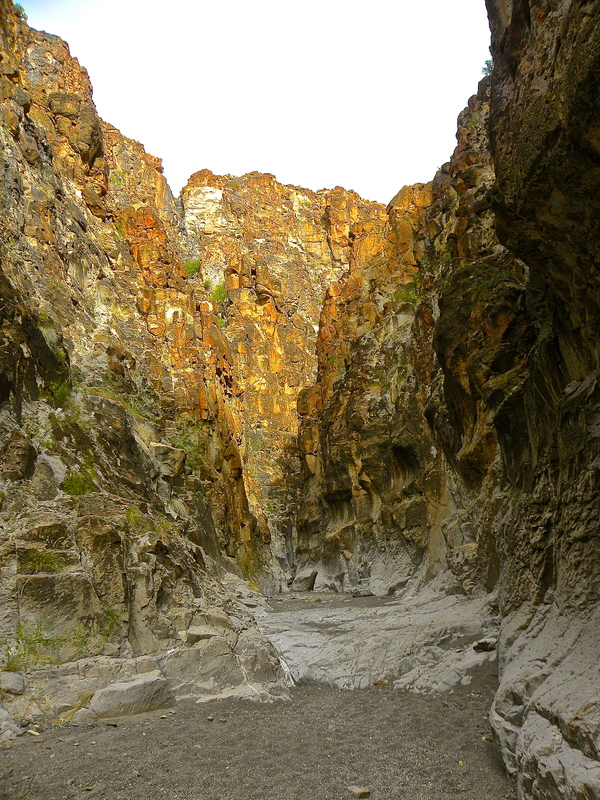 It’s a relatively easy 1.5 mile round trip hike into a 200 foot gorge. 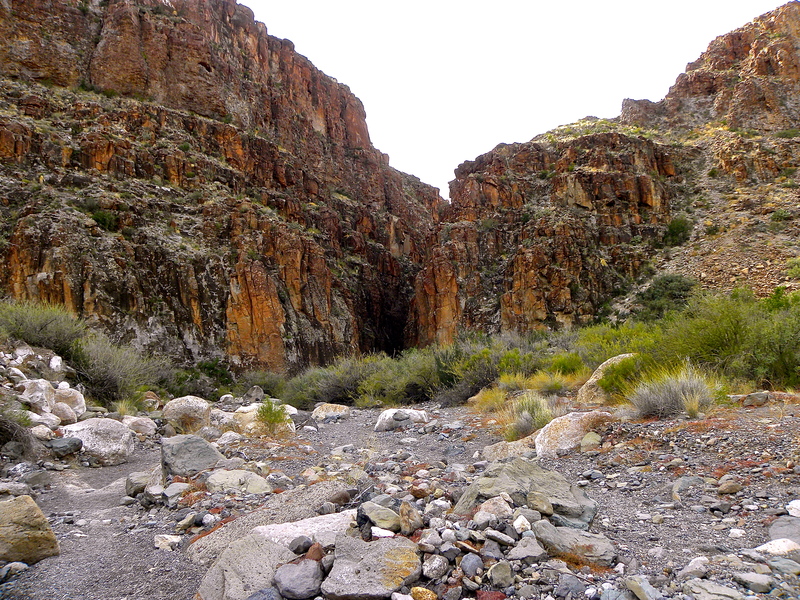 The trailhead is right off FM 170 and well-marked with little cairns until the canyon appears. 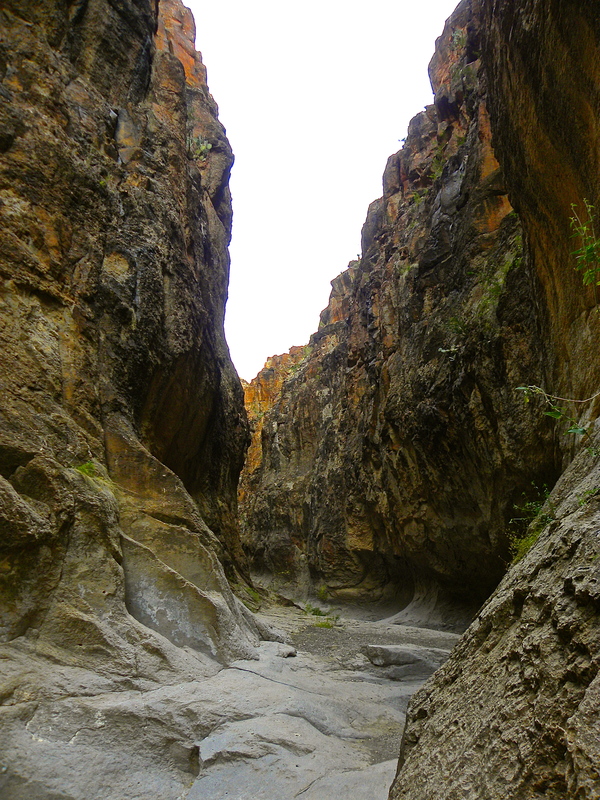 The air is cool and still in the quiet depths of the canyon. It’s quite the change from the windy mountains outside. 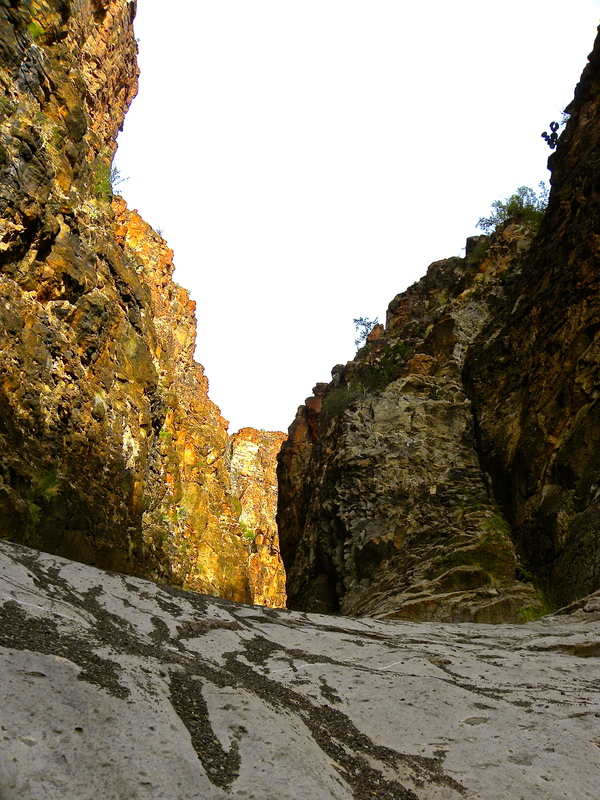 I hiked the canyon until I reached an impassable drop off. According to one book I read, the drop off is twenty feet at two stages. You’ll know when you’ve hit it. Without equipment, there is not a method to safely descend. Also, before that drop, there is a ten foot high pour-off. Don’t feel compelled to make that descent if it looks too difficult. The rocks are really slippery smooth at that point, and the views don’t change much the further in you get. I wouldn’t go near the canyon during a storm. 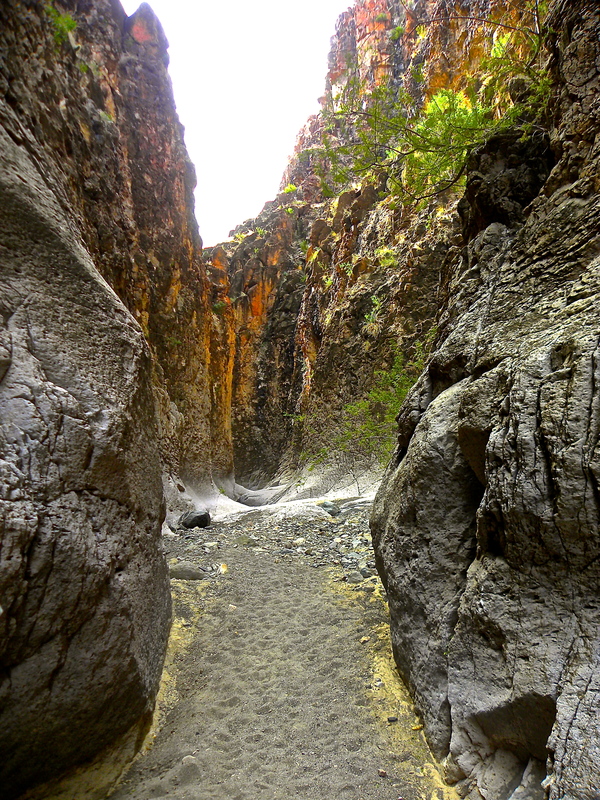 I can only imagine how the water gets whipping around the narrow canyon. Dangerous! Some of the vegetation you’ll see. 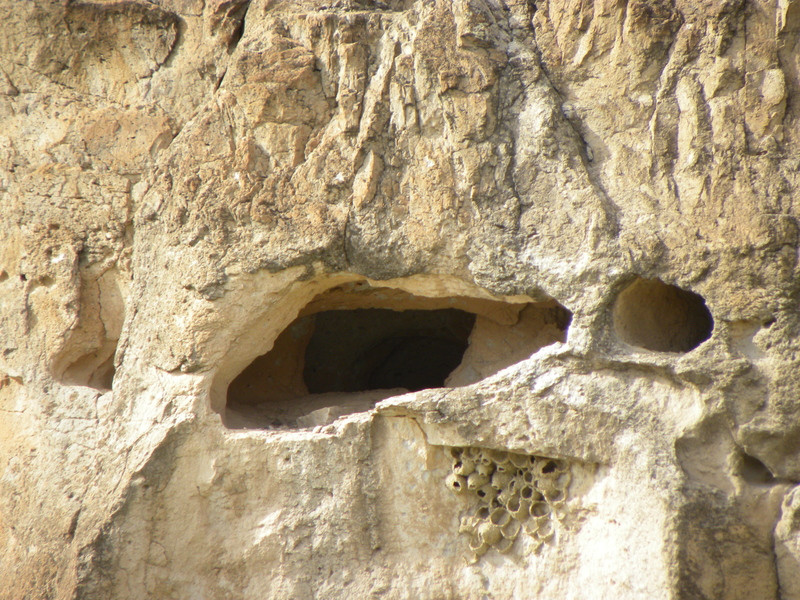 This cave is way up high on the western wall of the canyon. Some parts are quite narrow! I must be getting better at this because I did not have to edit a single one of these. AKA: it helps to have a camera with automatic night landscape lighting and auto-focus. Still, I had to drive around and find the shots. So, I get some credit, people! The evening colors really are that amazing in person. The clear mountain air and bright winter sun combined to make a spectacular show for everyone out at the national park in late December. If only I could take pictures of the stars! Better than the McDonald Observatory in Fort Davis, I tell ya.